Home Editor's Picks What makes Big Ben tick? Alongside the London Eye and Buckingham Palace, Big Ben is one of London’s most iconic landmarks. A staple of the city’s skyline, residents and tourists are used to hearing the iconic hourly chimes — but no more. On 21st August 2017, Big Ben rang out for the last time, as work commences on a four-year conservation project to restore the clock. The work will be carried out to the clock’s mechanism, which will see it dismantled as part of a laborious process that will see each cog examined and restored, the hands removed and refurbished and repair work carried out on the glass. In 1976, the clock itself was almost completely destroyed as a result of metal fatigue in the shaft that connects the chiming train to its fly fan. At 3.45am, the shaft broke, dramatically increasing the speed of the mechanism’s rotation as a result of the shaft’s 1.25 ton weight and the lack of braking from the fly. The results of this disaster were numerous, triggering the complete destruction of the chiming mechanism. The speeds reached were so high that many components were thrown with such force they crashed through the ceiling of the mechanism room. Such large-scale damage to many parts of the clock required the chiming train to be reconstructed from scratch. Given the scale of the repair work that was required, the permanent installation of an electric motor was considered however, the eventual decision was made to repair the clock’s original mechanism, work that took a year to complete. This wasn’t the only hiccup Big Ben has experienced during its lifetime. In 2005, the clock reportedly became victim to the unseasonable temperatures London was experiencing at the time. As temperatures reached 31.8 °C in May, the clock stopped for in excess of 90 minutes in total. Further maintenance work was carried out in 2007 over a six-week period, where the chime train and striker were replaced. Again, during this time, an electric motor was used to restore the clock’s functionality. These incidents, although they’re infrequent, have led many to ask the question whether Big Ben would benefit from being permanently replaced by an electric motor — especially given the growing cost of the current restoration works. Expected to cost £29 million, the figure grew to £61 million, as the work required was said to be more complex than originally thought. 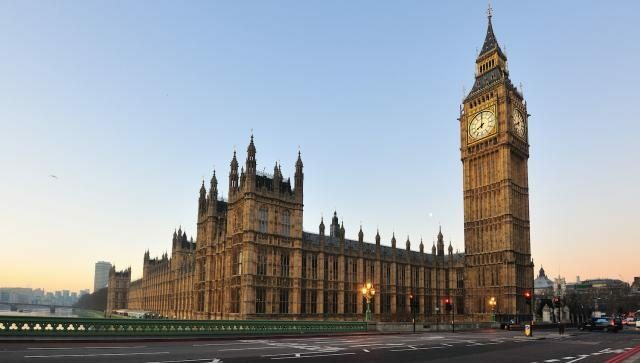 While some argue that a permanent electric motor would offer increased reliability and reduced maintenance, we run the risk of losing some of Big Ben’s history. The internal mechanism is as fundamental to the tower as its iconic chimes. For now and in the future, let electric motors remain Big Ben’s saviour in times of need, and let’s preserve this British monument as best we can for future generation. Angelina Jolie Keeping Brad Pitt Away From His Kids?